AP Services, a product and service brand of Curtiss-Wright, has state-of-the-art gasket manufacturing technology using CNC driven water jet cutters. Style 6300E is a graphite sheet manufactured from 97% pure graphite flakes containing a stainless steel tanged insert. These flakes are treated and processed without resins, binders, or other additives that would limit corrosion resistance and high-temperature applications. Style 6300E is permanently resilient, non-hardening, naturally lubricious, and has an infinite shelf life. Flexible graphite has the seal of approval by companies handling corrosive, volatile, or flammable media. Style 6300E is an ideal sealing material for high-temperature applications. It is also resistant to attack by most molten metals, corrosive chemicals, and caustics. 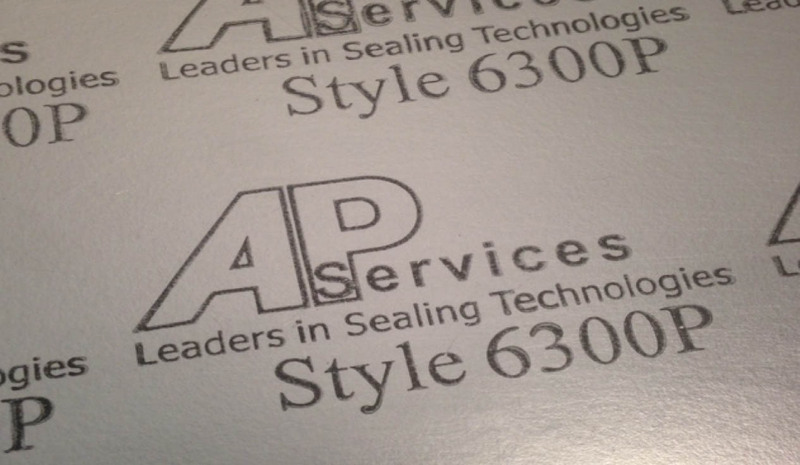 Style 6300E is not an easy material to fabricate and is recommended that our customers order gaskets in finished form. Style 6300E is available in sheets and pre-cut gaskets. AP Services, a product and service brand of Curtiss-Wright, has state-of-the-art gasket manufacturing technology using CNC driven water jet cutters. Style 6300L is a flexible graphite sheet manufactured from 100% pure graphite flakes. These flakes are treated and processed without resins, binders, or other additives that would limit corrosion resistance and high-temperature applications. Style 6300L is permanently resilient, non-hardening, naturally lubricious, and has an infinite shelf life. Flexible graphite has the seal of approval by companies handling corrosive, volatile, or flammable media. Style 6300L is an ideal sealing material for high-temperature applications. It is also resistant to attack by most molten metals, corrosive chemicals, and caustics. 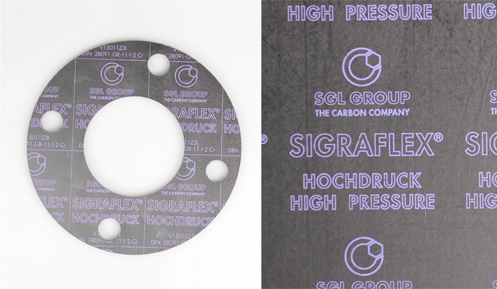 Style 6300L wide temperature and chemical compatibility, and ease of fabrication make it an outstanding gasket for all industries. 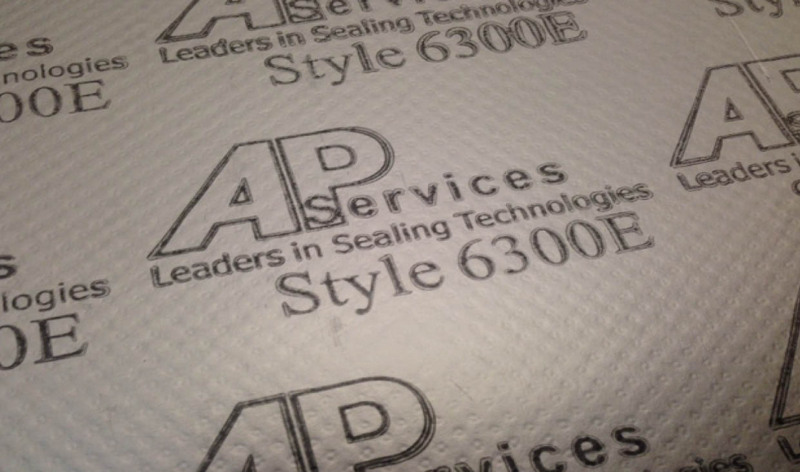 Style 6300L is available in sheets and pre-cut gaskets. AP Services, a product and service brand of Curtiss-Wright, has state-of-the-art gasket manufacturing technology using CNC driven water jet cutters. Style 6300P is a graphite sheet manufactured from 100% pure graphite flakes with a .0005” thick polyester (mylar) sheet laminated between the flexible graphite layers. The result is a mechanically stronger sheet with better handling characteristics, processed without resins, binders, or other additives that would limit corrosion resistance and high-temperature applications. Style 6300P is permanently resilient, non-hardening, naturally lubricious, and has an infinite shelf life. Flexible graphite has the seal of approval by companies handling corrosive, volatile, or flammable media. Style 6300P is an ideal sealing material for high-temperature applications. It is also resistant to attack by most molten metals, corrosive chemicals, and caustics. Style 6300P is still an easy material to fabricate even with the polyester laminate. 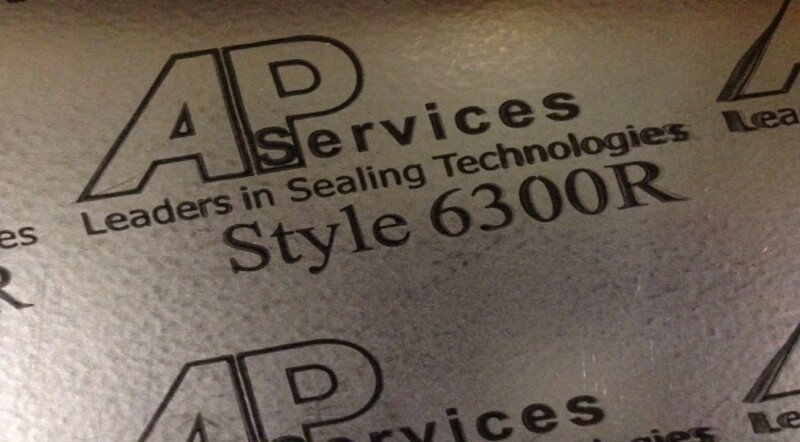 Style 6300P is available in sheets and pre-cut gaskets. Sheet Sizes 40" x 40"
AP Services, a product and service brand of Curtiss-Wright, has state-of-the-art gasket manufacturing technology using CNC driven water jet cutters. Style 6300R is a graphite sheet manufactured from 97% pure graphite flakes with a .002” thick stainless steel sheet laminated between the flexible graphite layers. The result is a mechanically stronger sheet with better handling characteristics, processed without resins, binders, or other additives that would limit corrosion resistance and high-temperature applications. Style 6300R is permanently resilient, non-hardening, naturally lubricious, and has an infinite shelf life. Flexible graphite has the seal of approval by companies handling corrosive, volatile, or flammable media. Style 6300R is an ideal sealing material for high-temperature applications. It is also resistant to attack by most molten metals, corrosive chemicals, and caustics. Style 6300R is still an easy material to fabricate even with the Stainless Steel laminate. AP Services, a product and service brand of Curtiss-Wright, has state-of-the-art gasket manufacturing technology using CNC driven water jet cutters. Style 6500 Hochdruck is a multilayer high strength sheet material using .020” thick layers of high quality graphite foil and .002” thick 316 stainless steel foil. Depending on the sheet thickness required, several layers of graphite and stainless steel foil are joined together using a unique binding process. These layers are fused together without the use of glues or adhesives that can burn out or delaminate at elevated temperatures. This material has a very high compressive strength, high bursting safety and high rigidity. Style 6500 has outstanding durability and excellent sealing capabilities in high temperature and pressure applications. It can easily be fabricated with normal gasket cutting tools. Style 6500 is available in sheets and pre-cut gaskets.